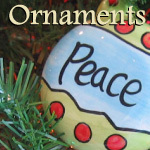 This is a unique message ornament measuring 2 1/2" by 2 1/2". "King of Kings, born in the most humble of places". 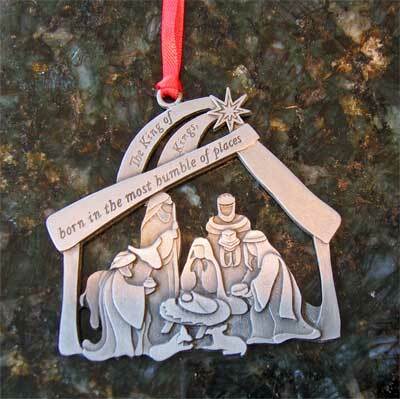 Made of pewter. Made in the USA.